Its purpose is to enable users to exchange electronic documents easier, independently of the application in which they were initially created. 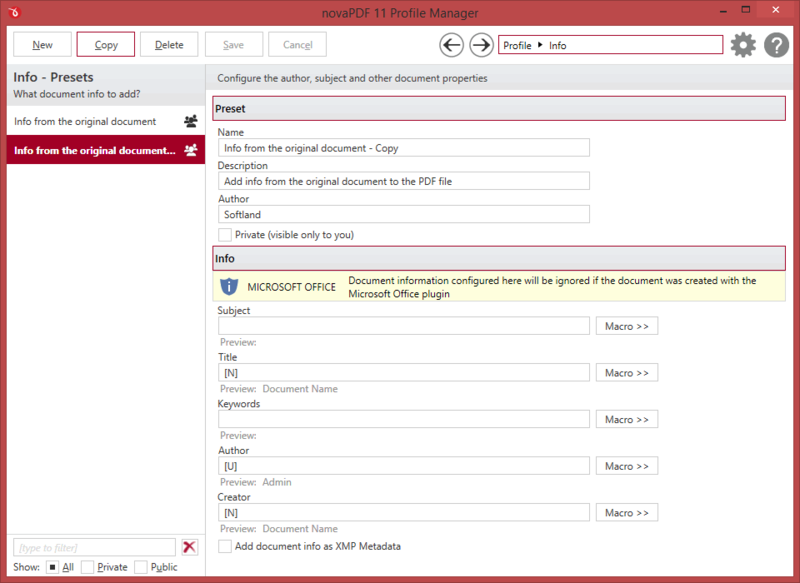 The resulted PDF files can be viewed on any computer with a PDF viewer (reader) installed. This PDF printer driver is compatible with these operating systems: Windows 10, 8, 7, Vista, Server 2019/2016/2012/2008 (32/64-bits). It also requires the .NET framework (you'll be prompted during installation if it's not already installed). novaPDF allows you to define different private or public printing profiles, each with its own printing to PDF settings. 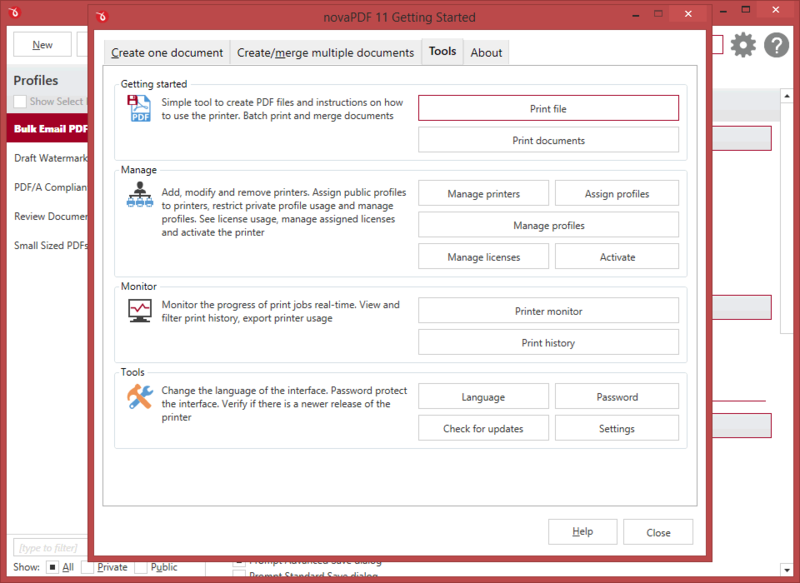 This feature is very useful if there are different users using the same computer (and each has different printing preferences) or if you are the only user but need different settings for printing documents. 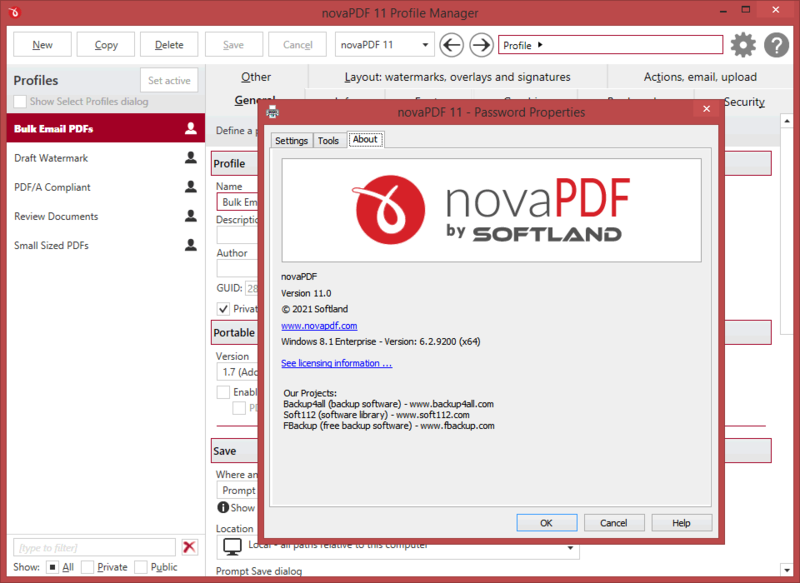 novaPDF supports PDF Linearization. 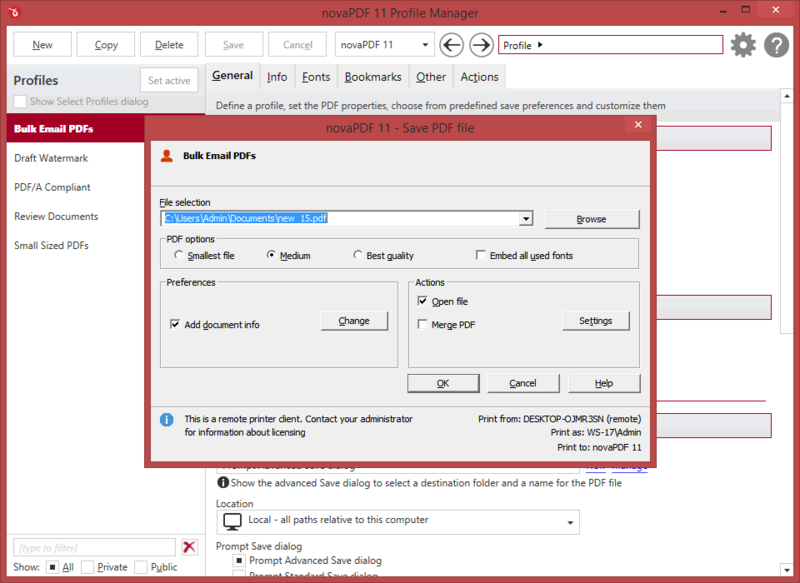 Also called fast web view, PDF linearization allows the creation of PDF files that can be easily viewed via the web browser. 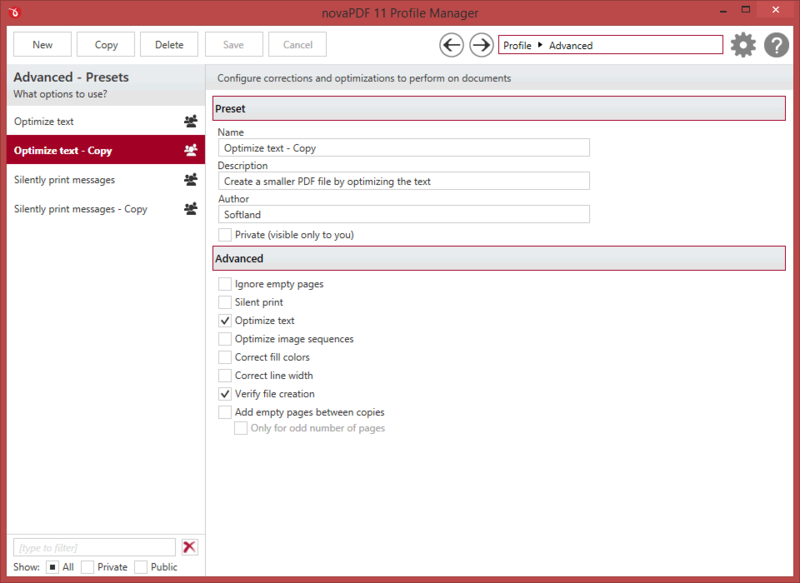 Instead of downloading the entire PDF file at once, the PDF will be "streamed" in the browser page-by-page. 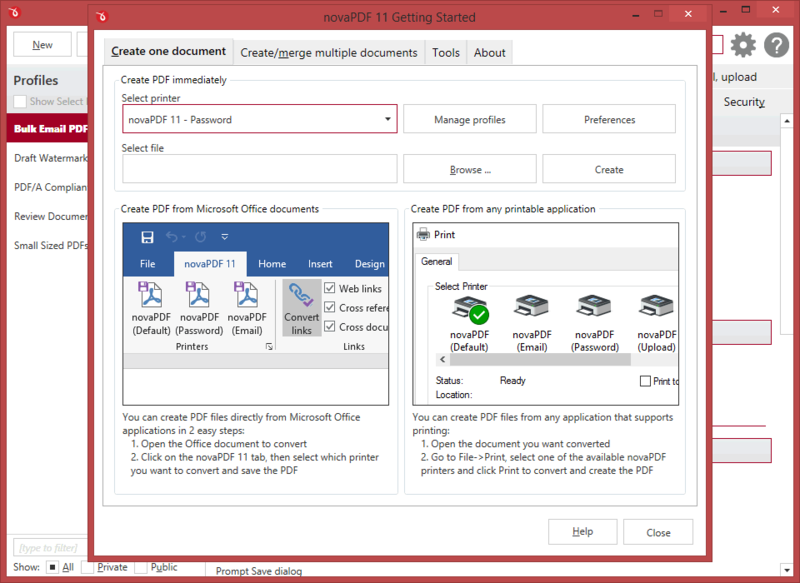 novaPDF installs add-ins for Microsoft Office applications (Word, Excel, PowerPoint, Publisher, Visio) which lets users create PDF files faster from Office applications. A major advantage of the add-ins is the conversion of hidden hyperlinks and easy conversion of bookmarks. 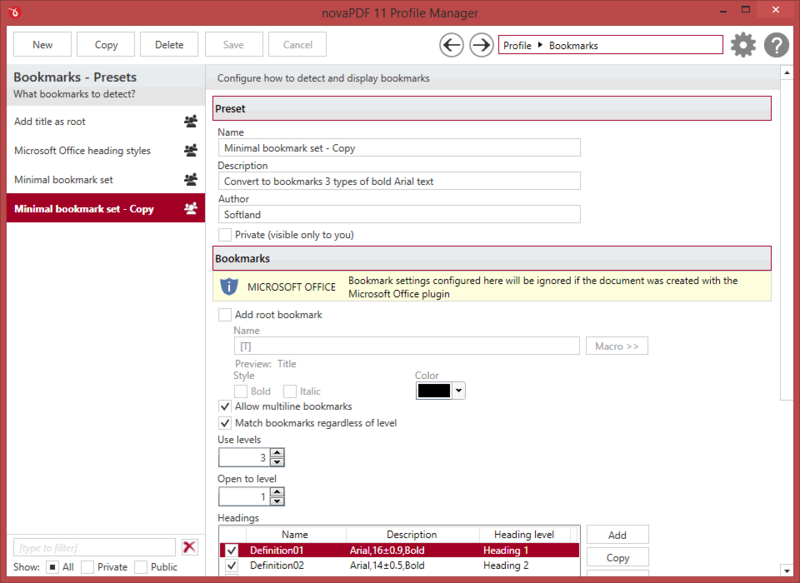 Without having the add-ins installed, hidden hyperlinks cannot be recognized and converted. 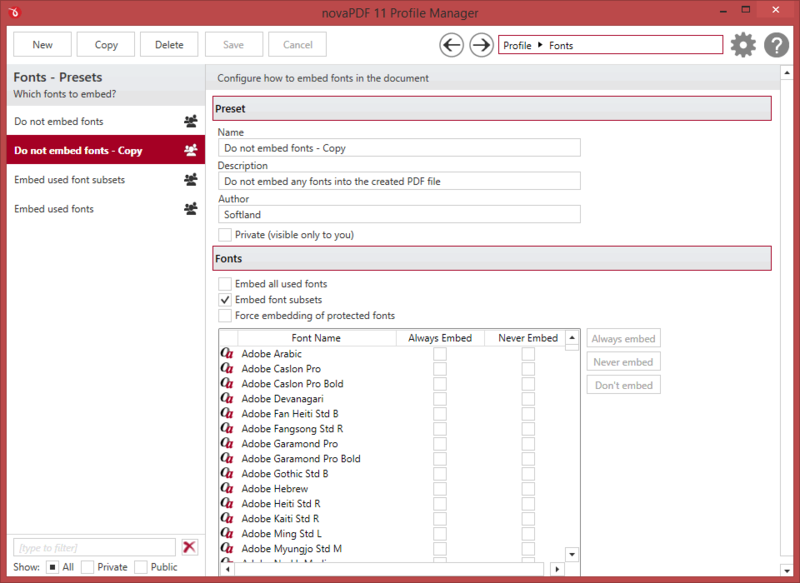 You can send the generated PDF files via email. 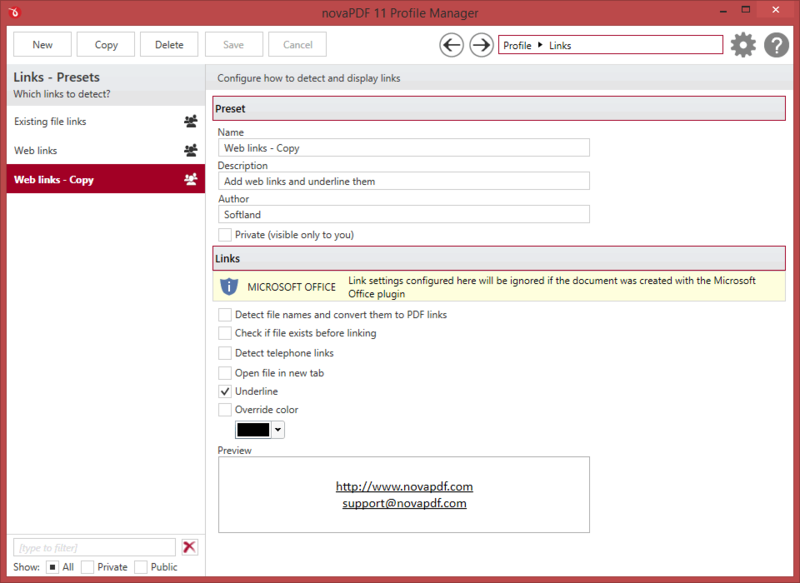 novaPDF can send the PDF using the default email client, via Outlook or directly using the SMTP server. 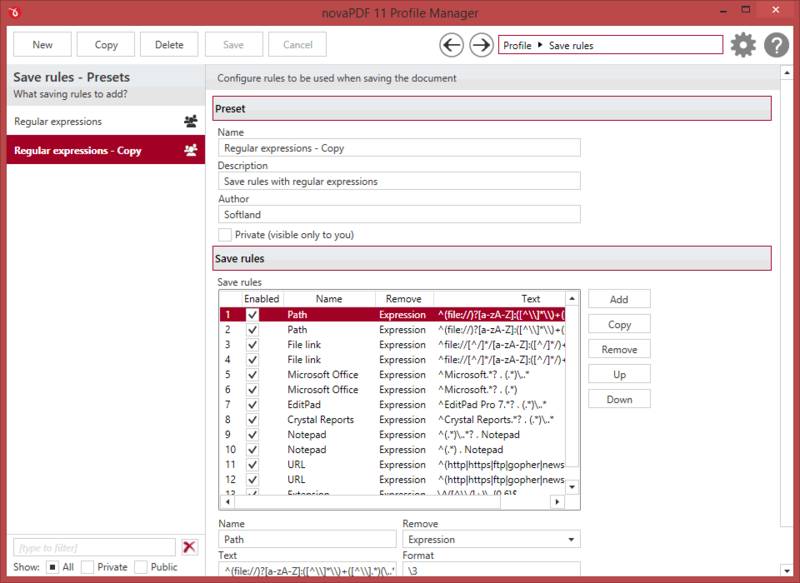 The email properties (subject, content, email addresses) can be configured too. 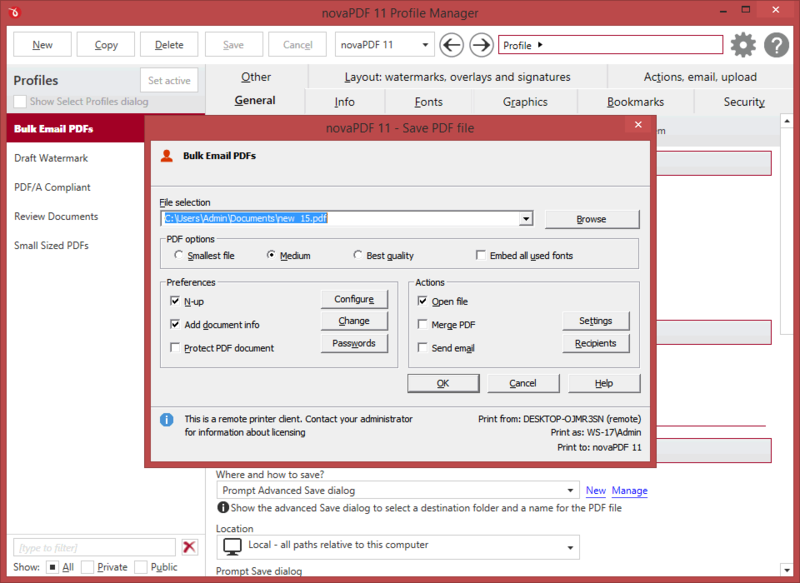 You can also choose to upload the generated PDF via FTP or SFTP. You can password protect the interface or PDF files you create and permissions can be restricted to prevent the document from being viewed, printed, modified, copied or annotated. 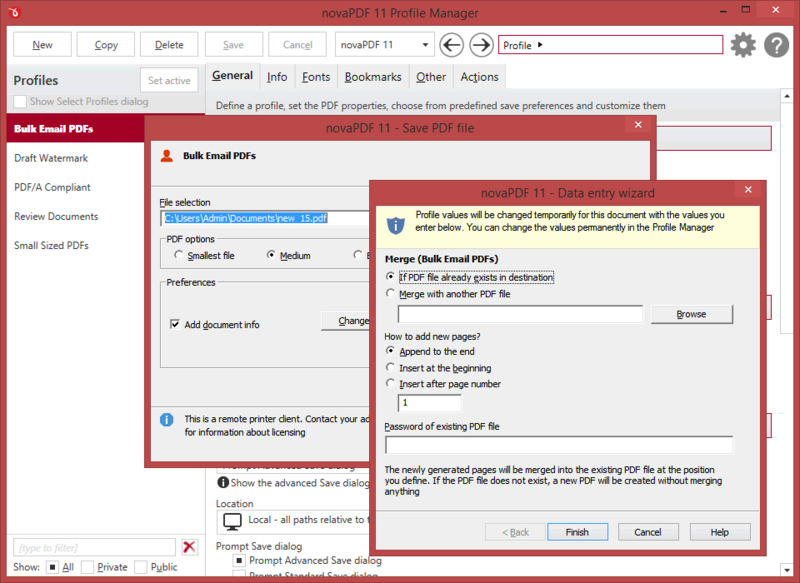 Your PDF documents will be protected and secured with up to 256-bit AES encryption. Additionally, if you have a digital signature you can sign your PDF documents thus certifying the authenticity and integrity of the PDF document for the recipient. 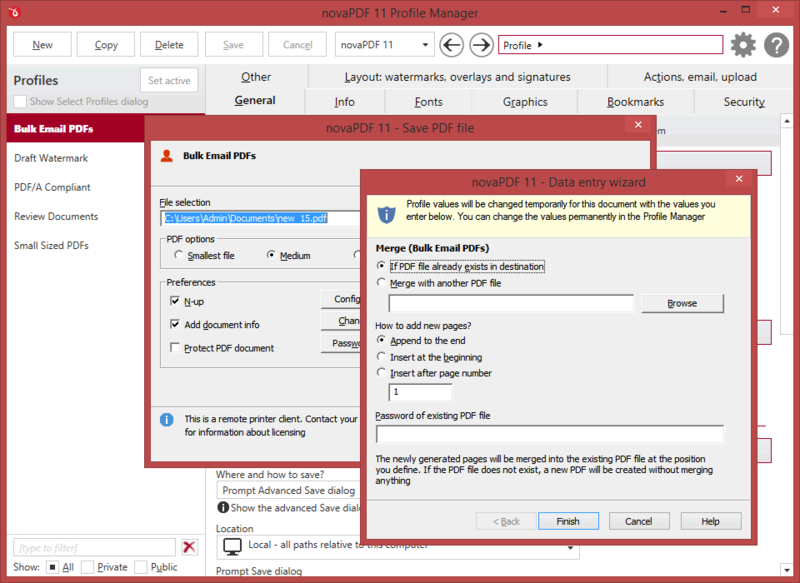 PDF files can be edited thus it's recommended to sign important PDF documents such as invoices, contracts, agreements to be sure the document hasn't been altered without authorization. 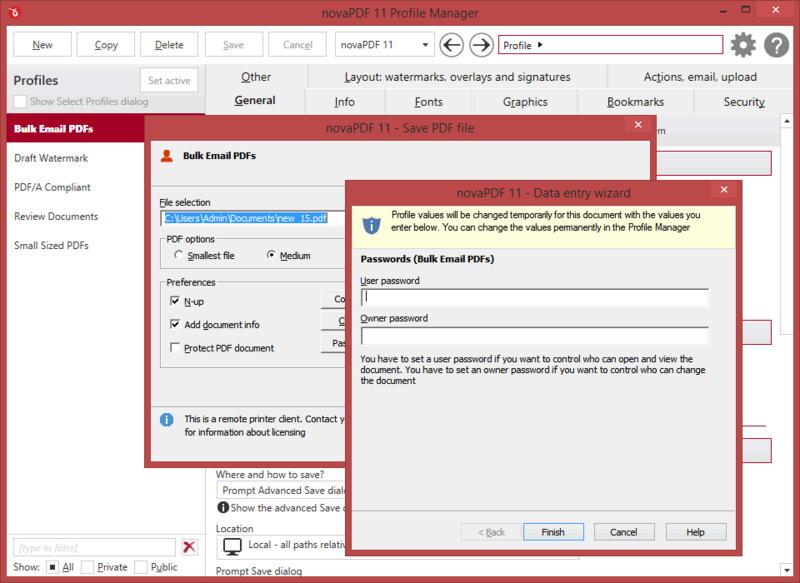 The PDF digital signature will be checked and indicated by the PDF reader when opened (i.e. 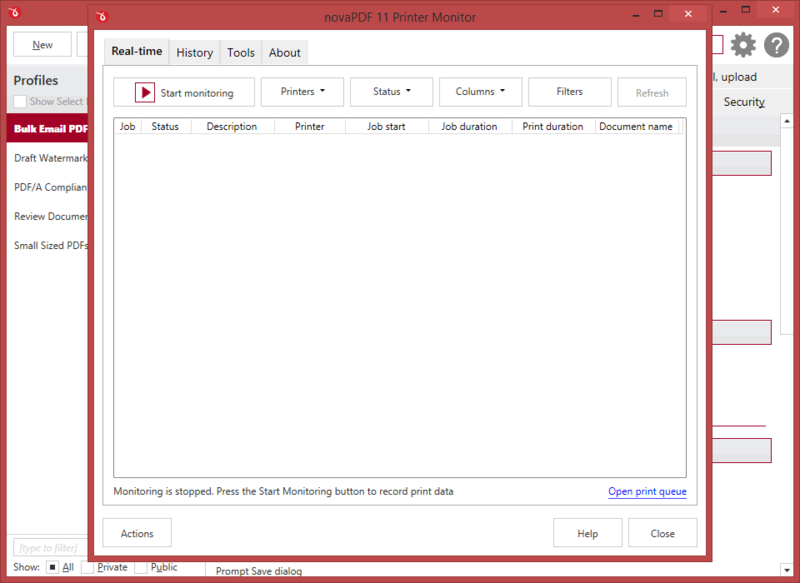 Adobe Reader). Starting with version 9, novaPDF includes a Printer Monitor module that allows you to see in real-time all print jobs and save logs for all of them. 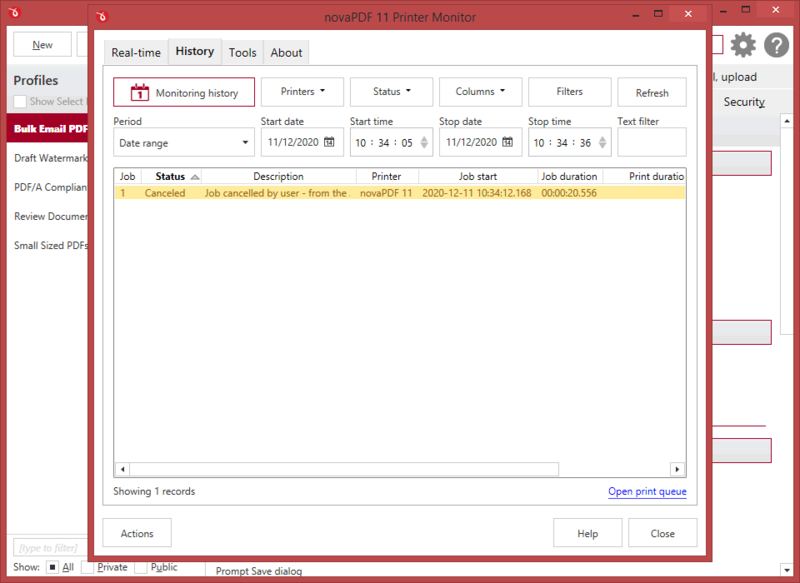 This can be used by administrators to monitor printing servers easier. Use the Printer Manager to create new regular or shared printers all using the same novaPDF printer driver. 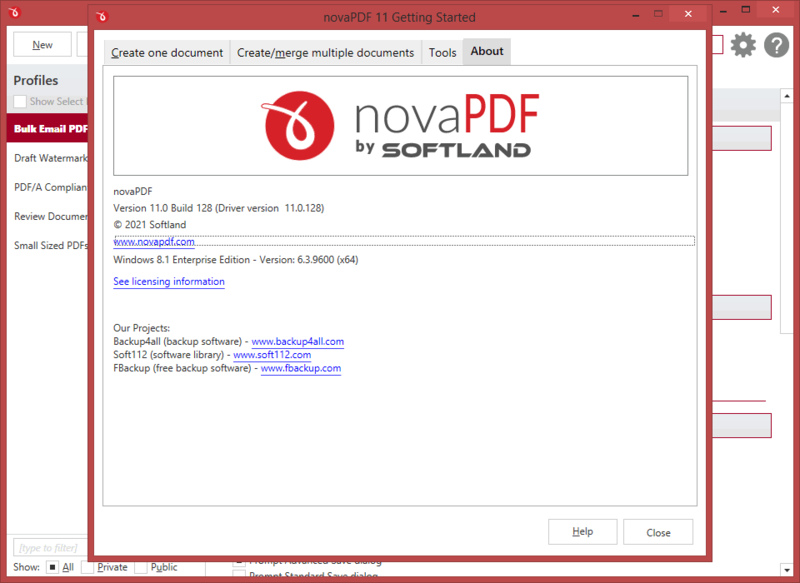 This way you can add new virtual PDF printers based on novaPDF but using different defaults or permissions. novaPDF Professional can be used as a shared network PDF printer, via Remote Desktop Connection, Terminal Servers or Citrix only if you own a license for each connecting computer that prints to it (directly, via the shared network printer or remotely). 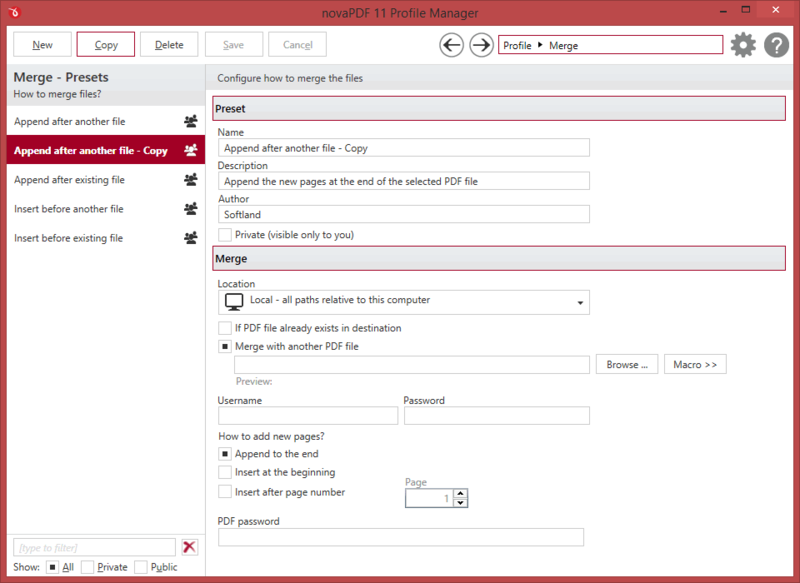 It can be installed on one computer in a network environment (printer server) and used by any computer within that network, without having to install it on each computer. 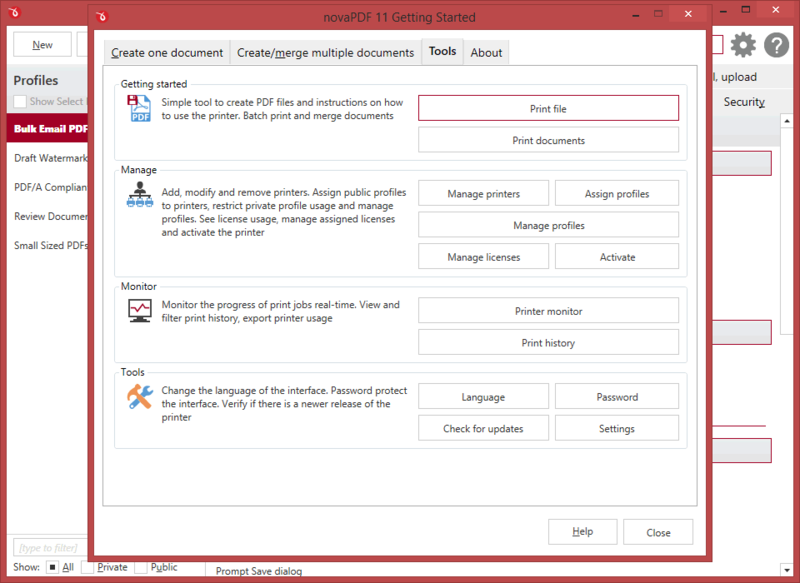 Simply share novaPDF on the printer server and connect to it from the other computers. You can also define public profiles. These profiles are created on the server computer and are automatically propagated to all client computers. 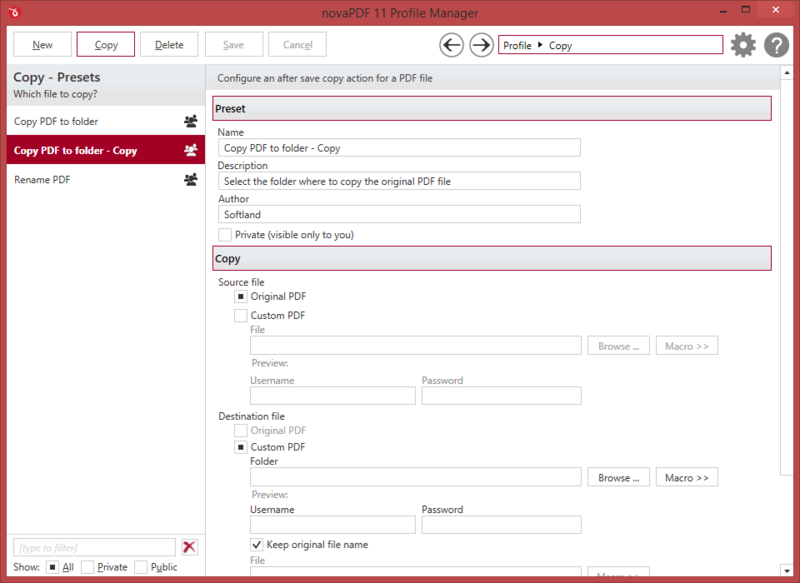 You can configure some profiles to save the PDF files in a folder on server and all client computers will generate the PDF files in that folder. 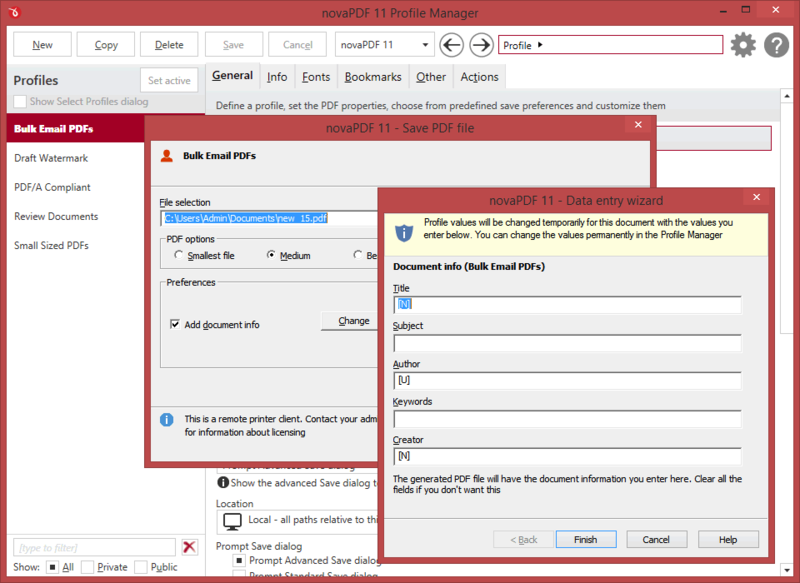 PDF files can be edited thus it's recommended to sign important PDF documents such as invoices, contracts, agreements to be sure the document hasn't been altered without authorization. 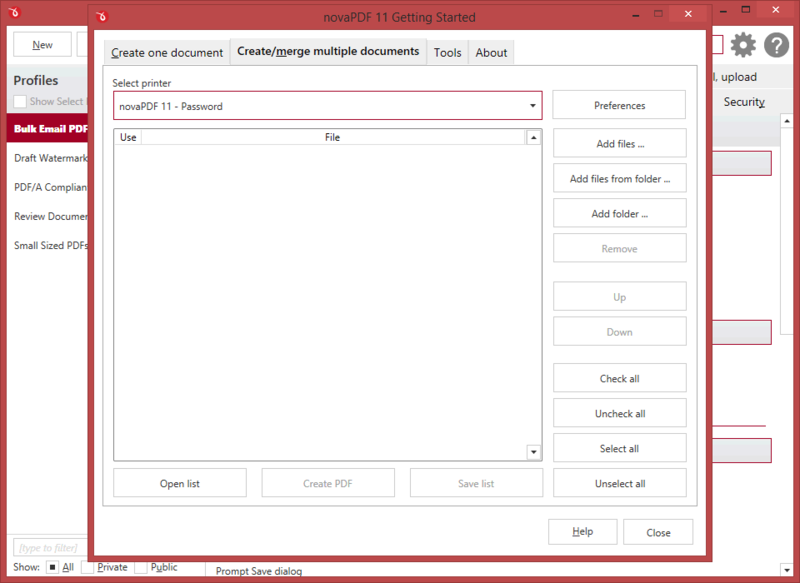 Multiple watermark templates are included (i.e. 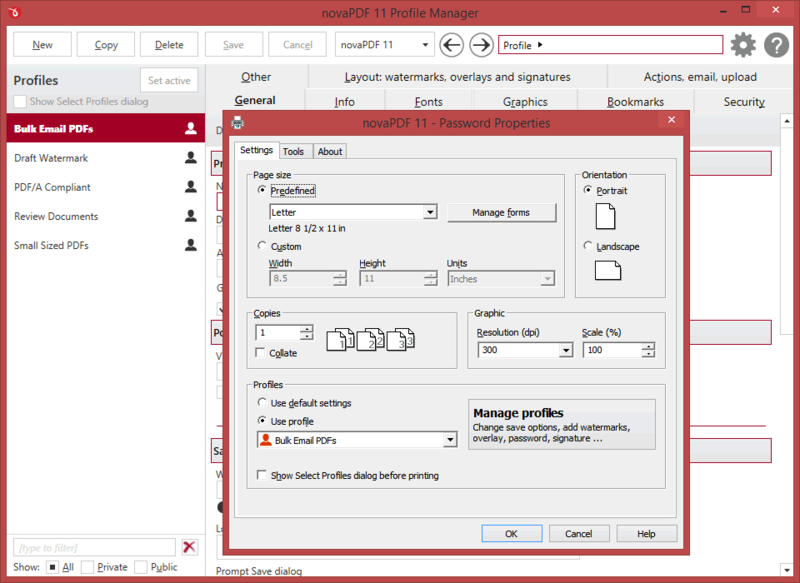 confidential, date/time, draft, page index/count) but you can also define your own presets. novaPDF can send created PDFs using the default email client, via SMTP or Outlook. 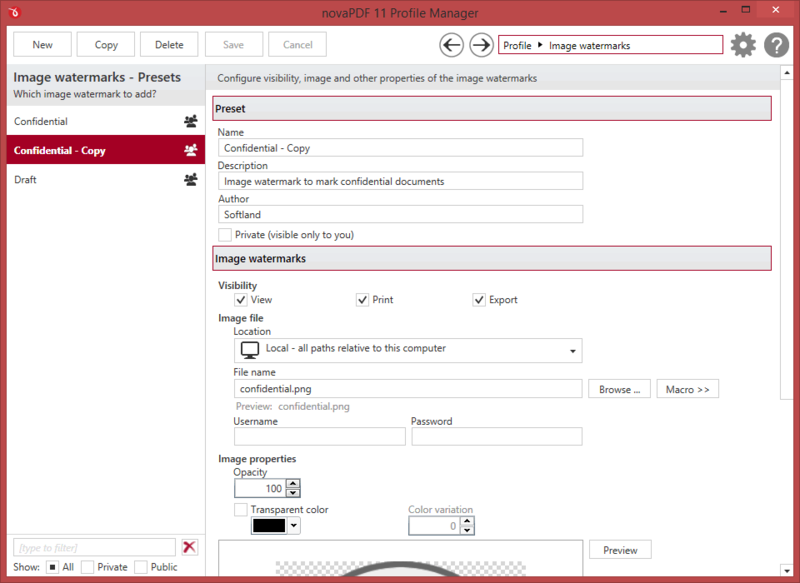 You can send to multiple email addresses (as TO, CC or BCC) and zip the attached PDF file (with password protection). 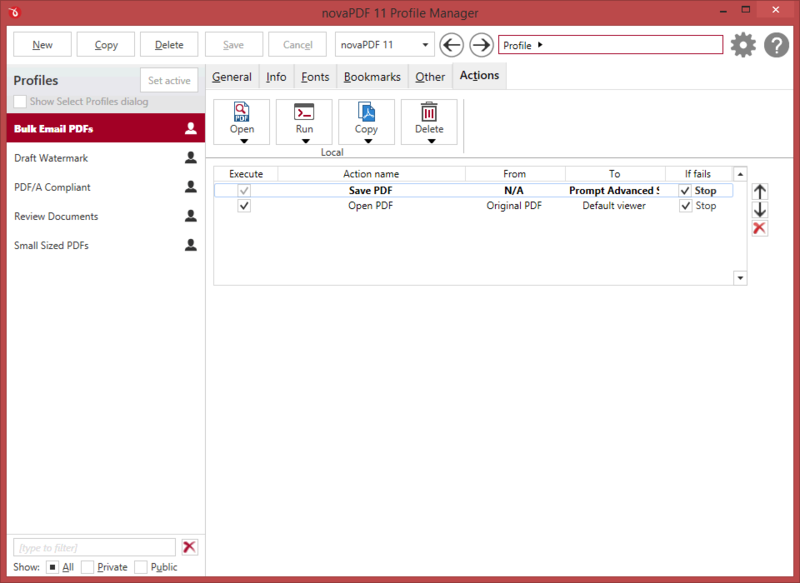 There are also predefined SMTP servers for easy setup (AIM, AOL, Gmail, Outlook/Hotmail/Live, Yahoo). There are several templates included by default for easy setup (generic, invoice, letterhead). 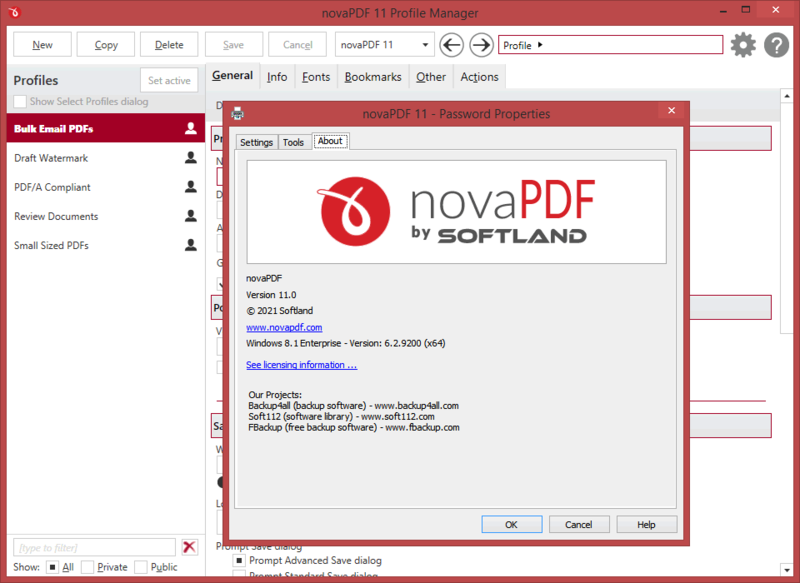 novaPDF can also verify if the file linked to exists during conversion to avoid broken links. 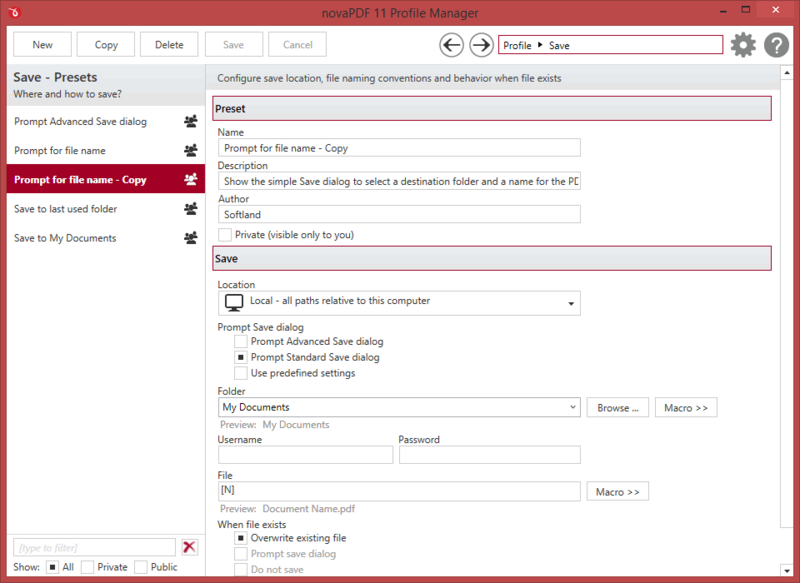 Additional options allow opening the file in a new tab and customizing the underlining. 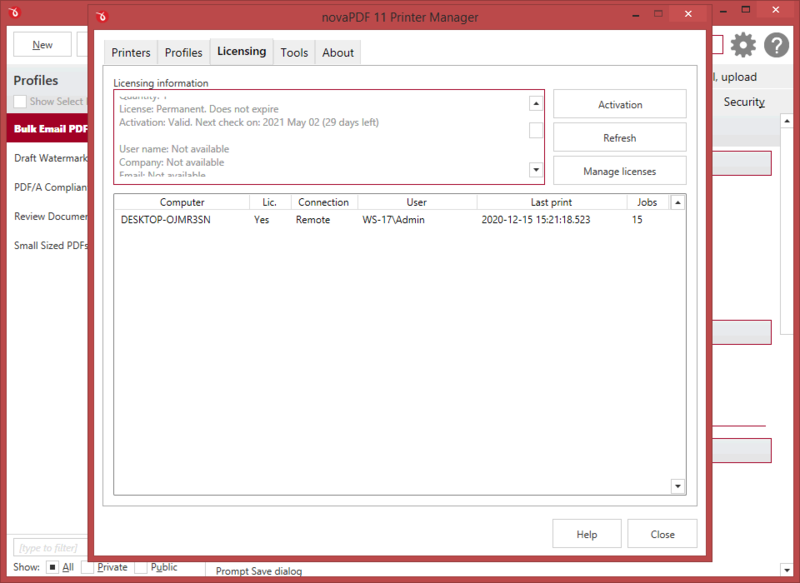 This allows you to manage the licenses for the installed printer driver. 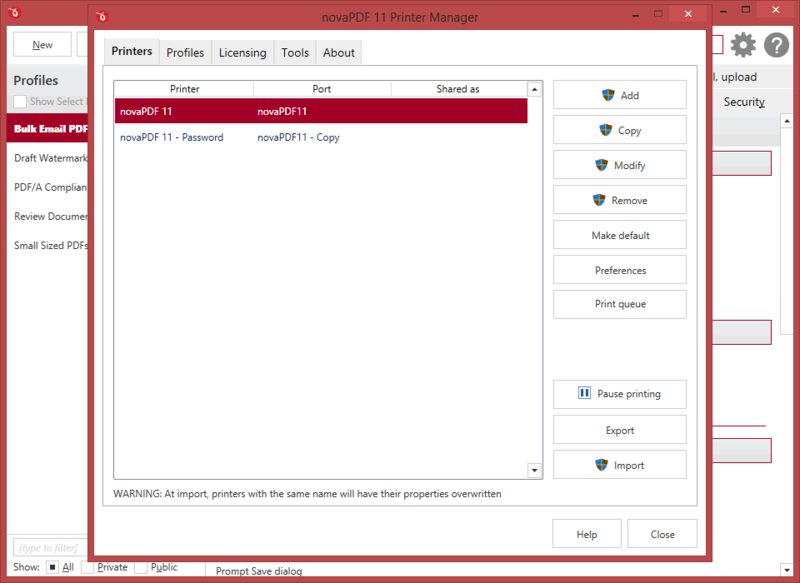 Managing licenses is useful when using the installed printer driver as a print server (via the shared network printer or remotely) to add, license, un-license computers/users, and release licenses. 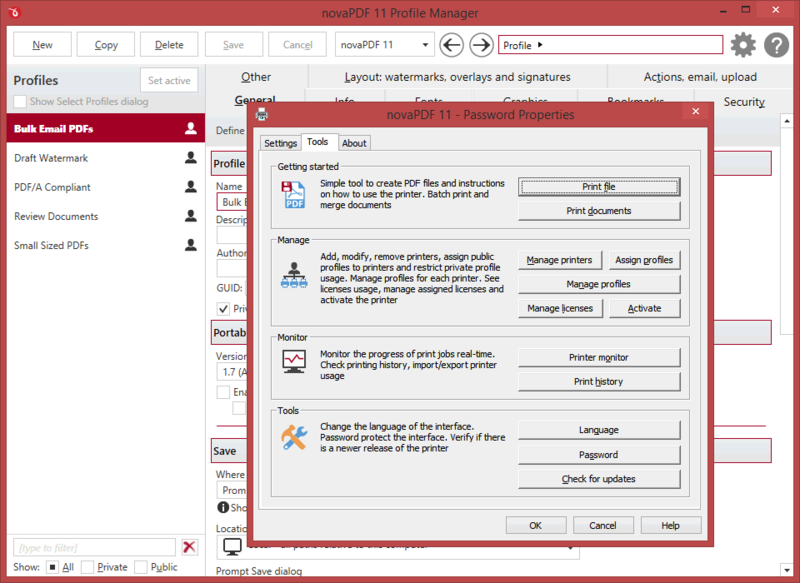 If you have multiple licenses for a shared PDF printer, client computers will be automatically registered if licenses are available. 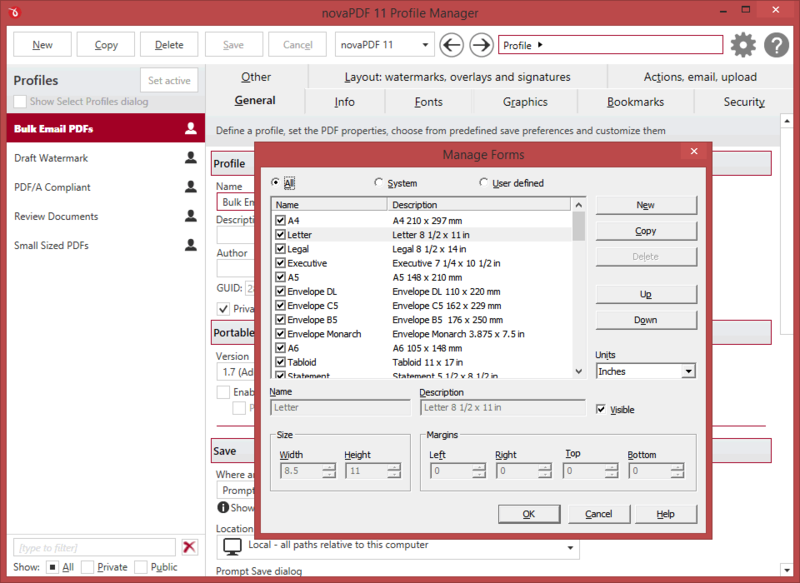 However you can override that by manually managing what computers get to be licensed based on NetBios or their DNS names. You can add multiple virtual PDF printers all based on the same novaPDF print driver. You can even name the virtual PDF printers anything you want and that’s how they will show up in your list of "Devices and Printers". 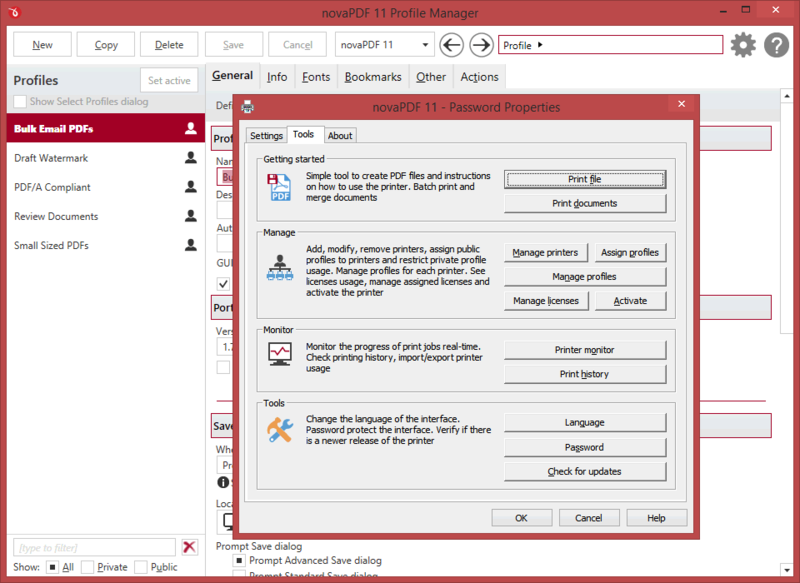 The main advantage of having multiple PDF printers is that you will have a different print queue for each. This means that you can for instance have one of the printers shared as a PDF server while another locally and both could have their own printing queue and creating separate sets of PDFs. You can define private printing profiles for future use, each with its own profile settings (i.e. security, signatures, bookmarks). 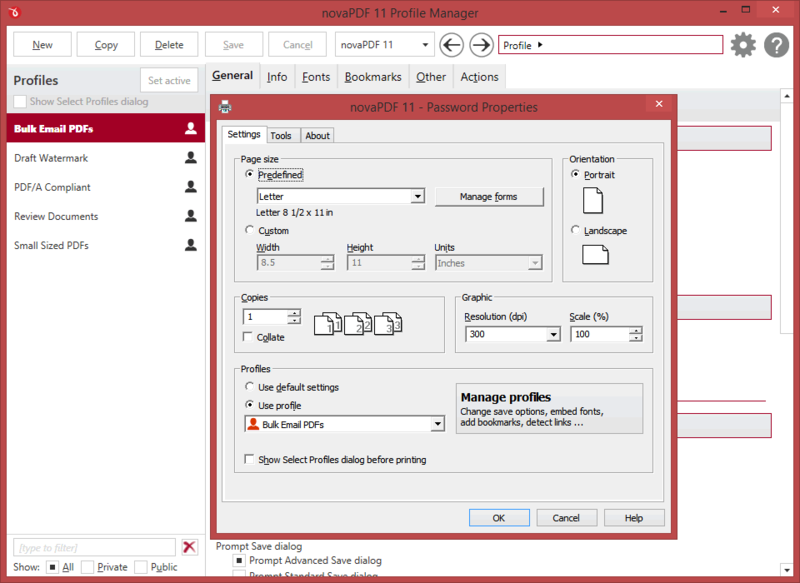 This way you can switch between different printing profiles without having to modify the settings again. 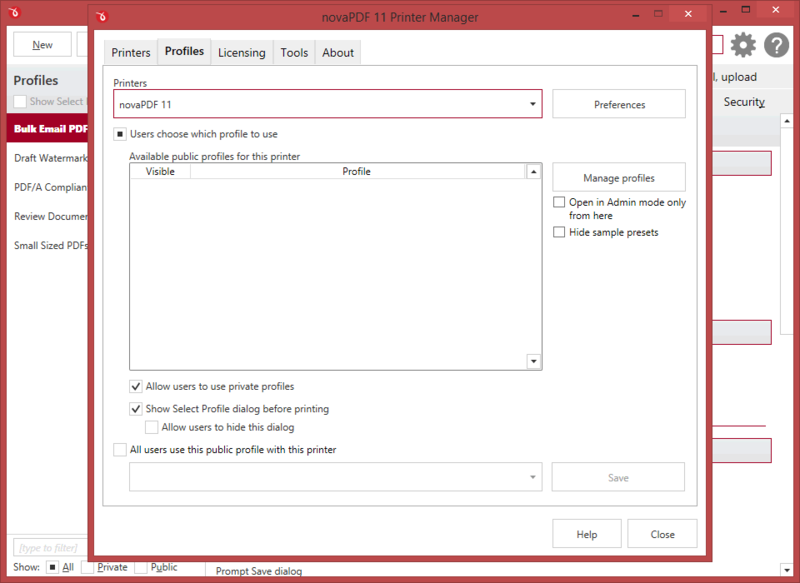 These profiles are only available on the computer where they were defined. However you can also create public profiles that are automatically propagated to all client computers. 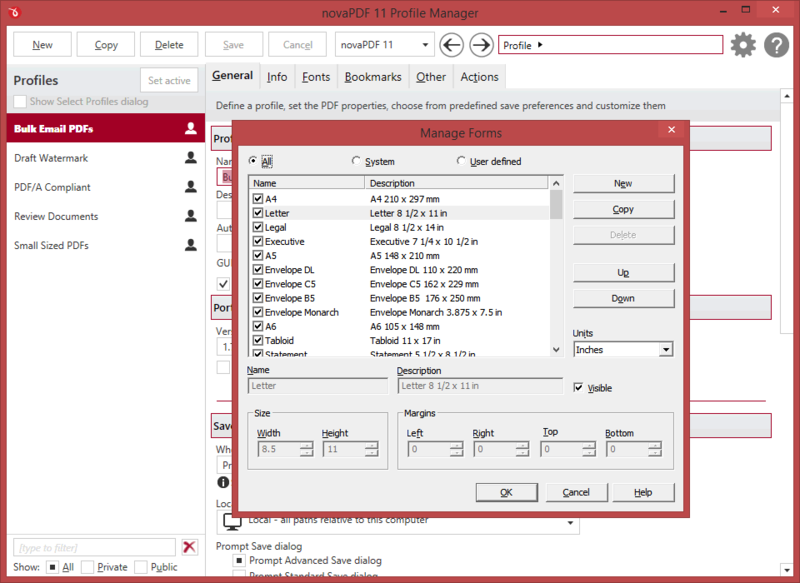 When using propagated public profiles, you can disallow client computers to switch to a private profiles. After the PDF is generated, novaPDF can automatically upload it to FTP or SFTP servers. You can define presets for the FTP/SFTP servers and use those for different profiles. 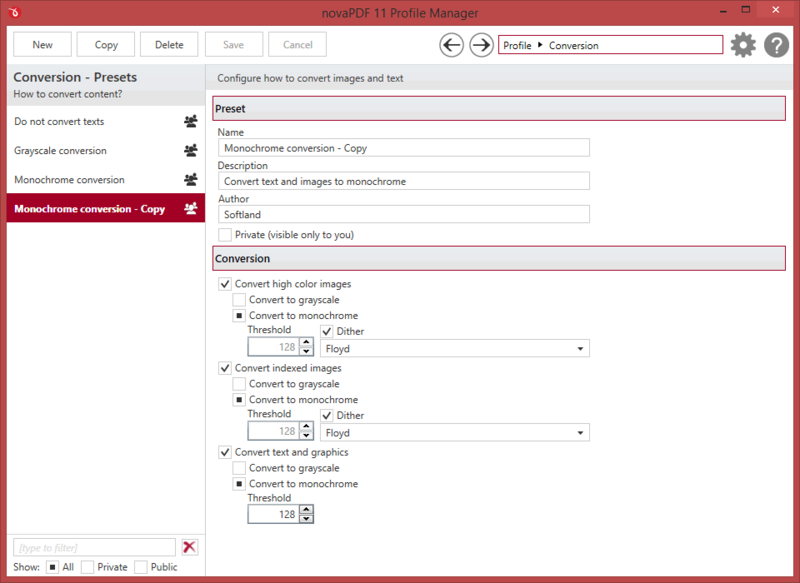 Aside the generated PDF, other files can also be uploaded. You can define pairs of tag/value to be detected before the PDF is generated. novaPDF can then detect those tags from the original document and allows you to use those values as Macro names. It can also remove the whole page where a particular tag/value is present or removing only some parts of the text based on font formatting. Aside the regular document information (title, subject, author, keywords), novaPDF can also include extra copyright metadata that will show up in the properties of the resulting PDF file. You can set predefined "Copyrighted/Public Domain" metadata or add your custom copyright one. 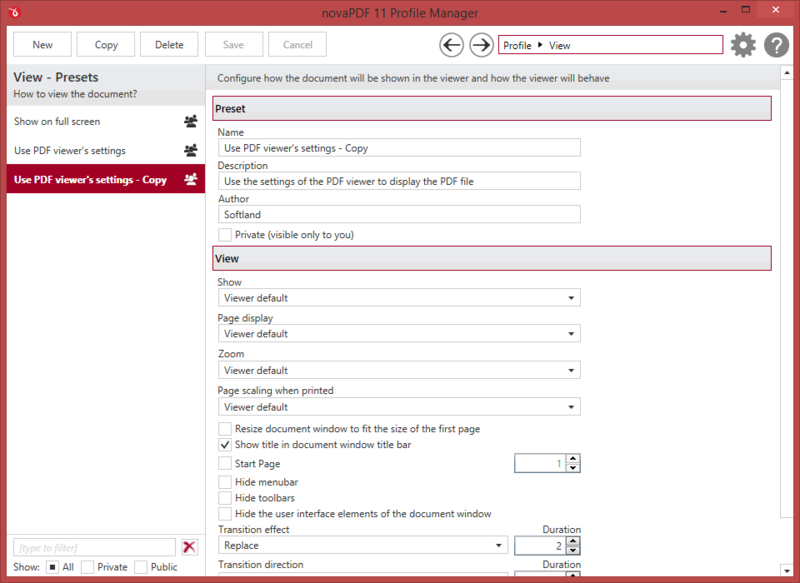 Custom actions can be defined to be performed after the PDF was successfully generated, such as opening (or not) the PDF file with the default viewer once it's created, or running a custom application with given parameters.